Bring a little bit of that sunny disposition back into your life with this collection of juices that have loads of nostalgic summer time flavor held within them that will have you able to access that optimistic feeling that seems to pop up when the weather grows warmer. Even if it’s the middle of the winter, you can jseem to spread joy absolutely everywhere that you go. 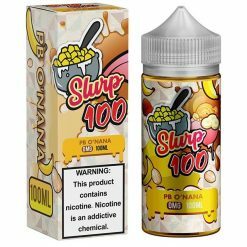 Slurp 100 E Liquid will be a brand that you will want to share with all of your friends for their way of making juices that are given an extraordinary amount of quality along with realistic flavors that don’t just satisfy you but also make it so that you are over the top impressed.